Police investigating the death of Terry Fox (46) who was killed after being struck by a car at Christmas have issued another appeal. Mr Fox died as a result of his injuries after the incident on the Moy Road near Armagh on December 27 last year. 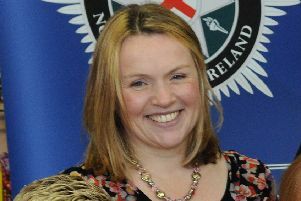 Officers from PSNI Collision Investigation Unit are keen to speak to the driver of a white van which they believe was travelling on the Moy Road in the direction of Armagh at around 5am..
Constable Tracey McConnell said: “46 year old Terence Fox died as a result of injuries he sustained after being struck by a car at around 5am at Moy Road on the morning of Thursday 27th December. “Our enquiries into the collision are ongoing and I would like to issue a further appeal for information. “More specifically, I am seeking to trace the driver of a white van which I believe was travelling on the Moy Road in the direction of Armagh between 5.05am and 5.10am on the Thursday morning. I am appealing for the driver of the white van to get in touch as they may be able to assist us with our enquiries.